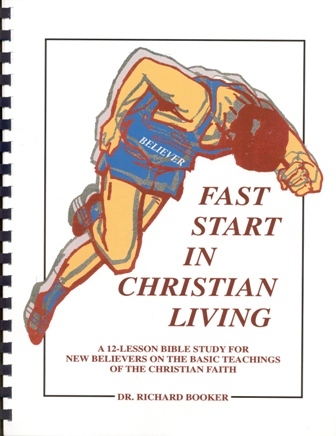 Fast Start in Christian Living is a unique teaching manual designed to help new believers get off to a fast start in their walk with God. The author has divided the manual into twelve lessons in which he explains the basic teachings of the Christian faith.The manual is organized in such a way to help you learn these foundation teachings in a simple, quick, systematic manner. The author uses an easy- to-understand question and answer format (60 questions), an innovative speed-learning technique, and Personal Study Guides to assist you in retaining the information. Fast Start in Christian Living can be read by individuals or used as a manual by churches, and study groups for their new believers class. I would like to know about this book!